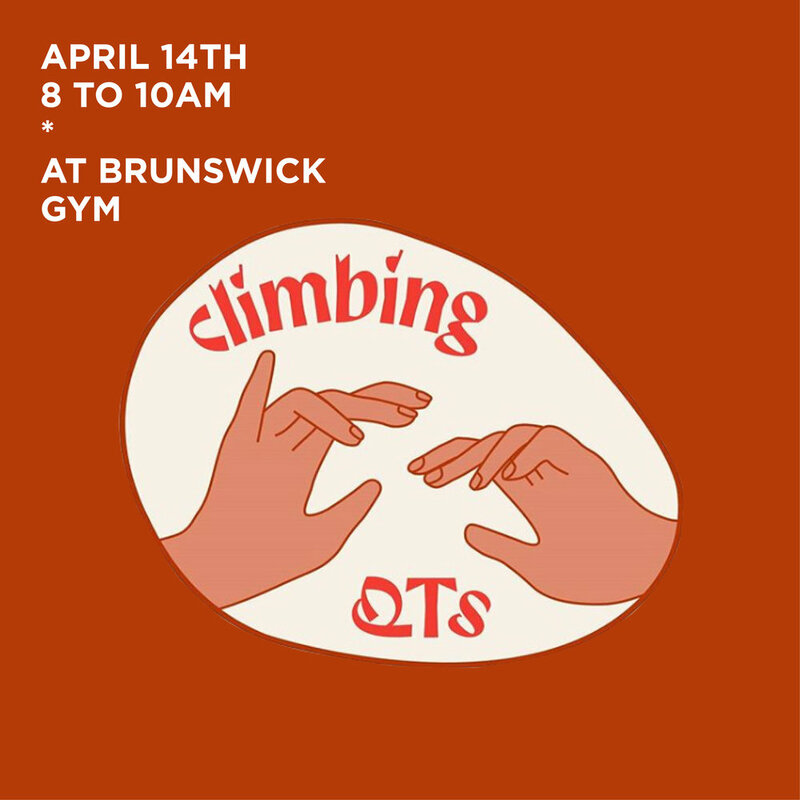 Join us on Saturday morning for Climbing QTs first session. Northside Boulders is proud to provide a space for this friendly social group where all you cuties can talk beta, organise climbing trips and meet-ups and give positive affirmations. We aim to address the representation and complexities of sport for people of diverse genders, sexes and sexualities. Climbing QTs hopes to re-conceptualise the relationship between sport, gender identity and body image. We also seek to address femme invisibility, racism, trans acceptance and fatphobia. Experienced climbers will be present to assist new climbers with the basics of technique and movement on the wall. For more events, infos, and uplifting meme culture follow them on insta : @climbingqts. Click here to join their Facebook group.